‘Up! 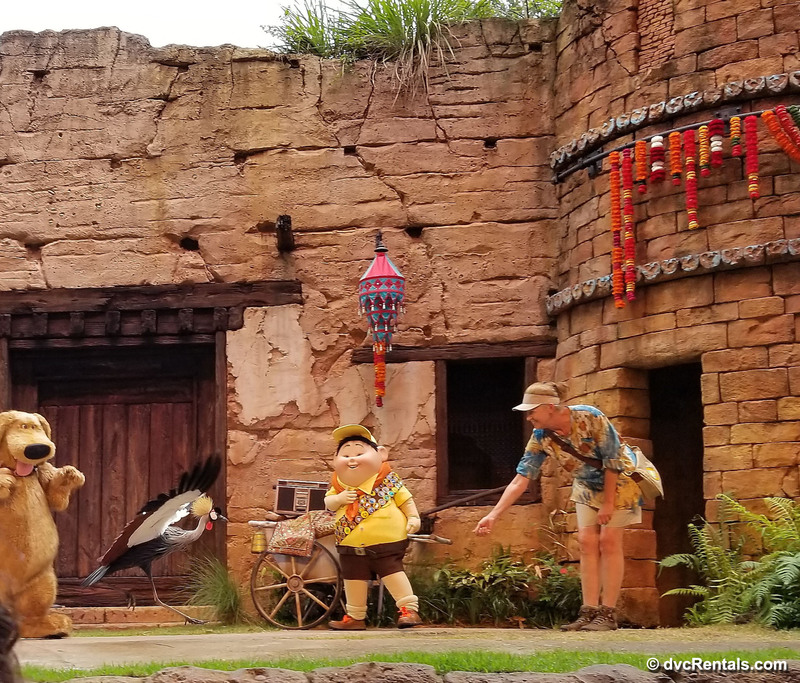 A Great Bird Adventure’ debuted on April 22nd and guests have been flocking to the park to see what this new show has in store. 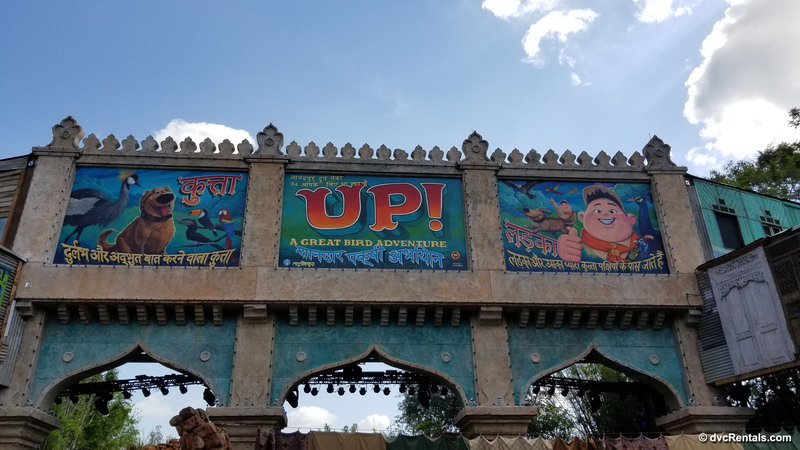 Similar to its predecessor, ‘Flights of Wonder’, ‘Up! 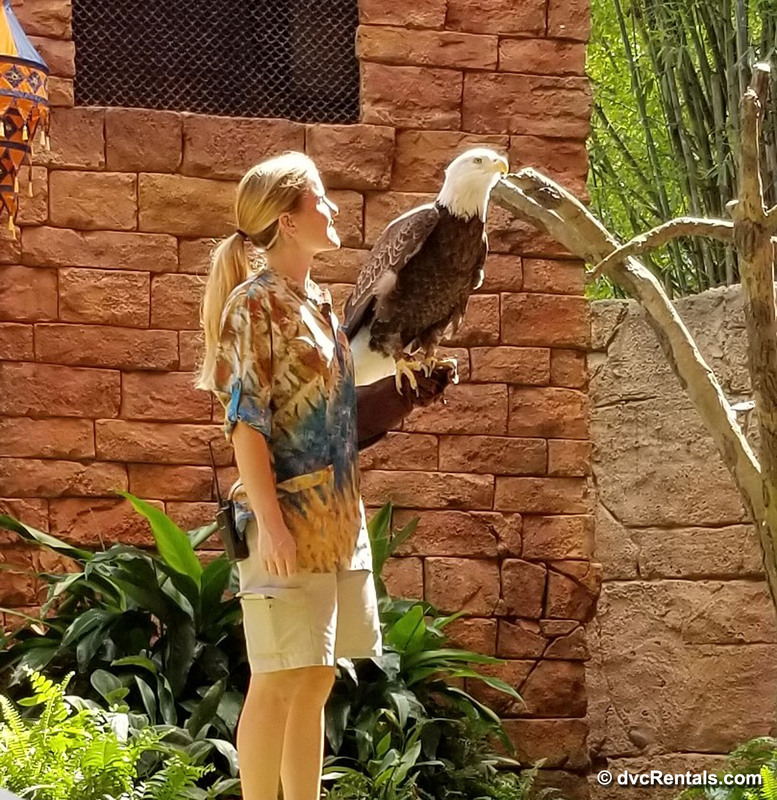 A Great Bird Adventure’ is designed to showcase birds from around the world while providing guests with knowledgeable information about their feathered friends. 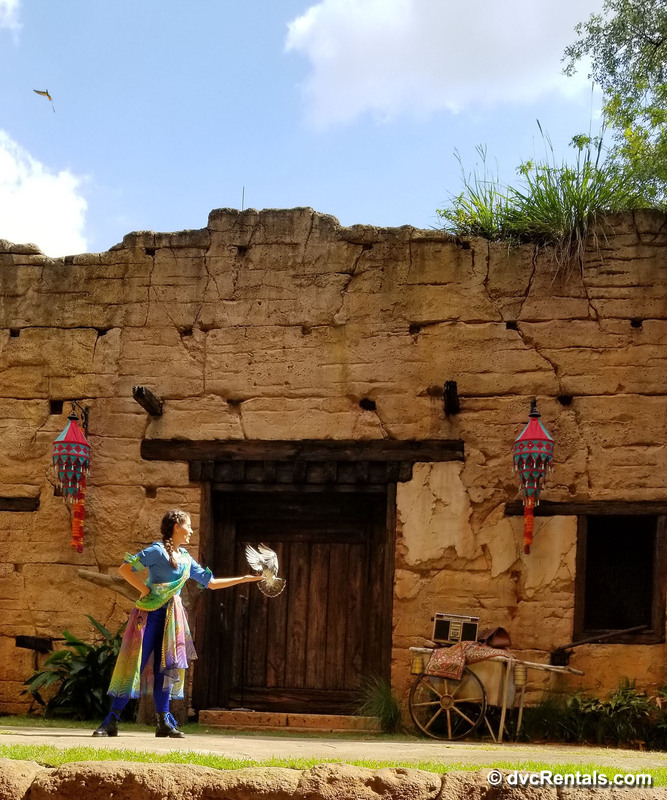 Located in the Asia section of the park, the 25 minute show is performed multiple times a day and allows guests a chance to sit down and relax as they learn about these beautiful birds. 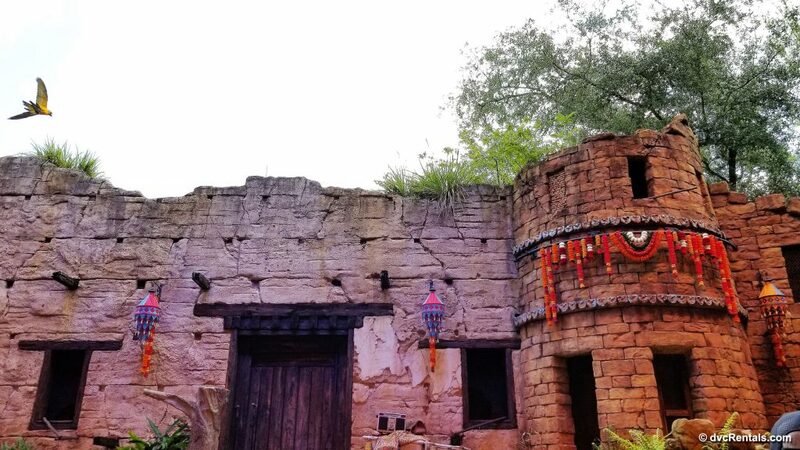 FastPass+ services are available and allows first access to the theatre. Once inside the theatre, there is general seating where guests can choose between sections right up front or raised areas at the back of the theatre that provides a more panoramic view of the stage. 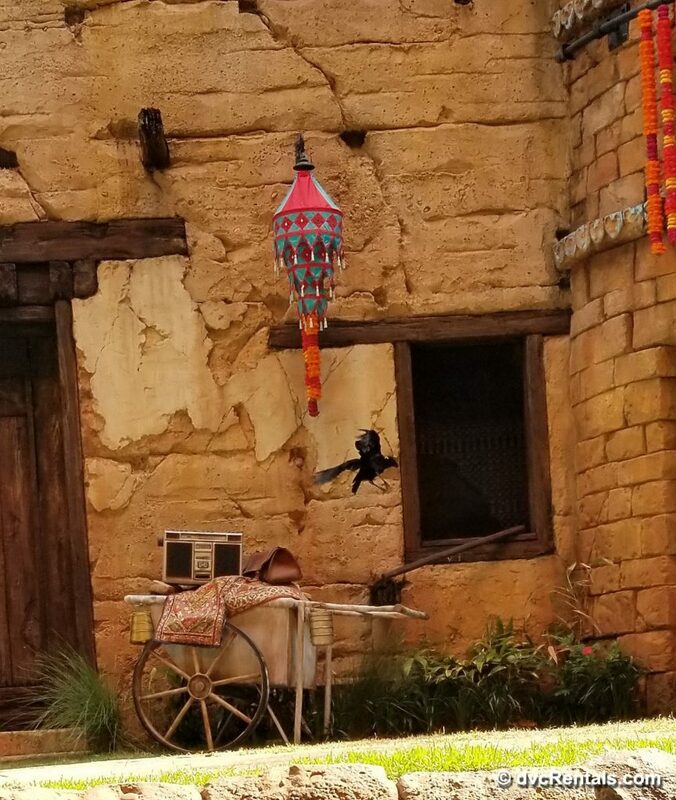 A Senior Wilderness Explorer narrates the show and takes us on a journey as she shares her love for these beautiful flying friends. 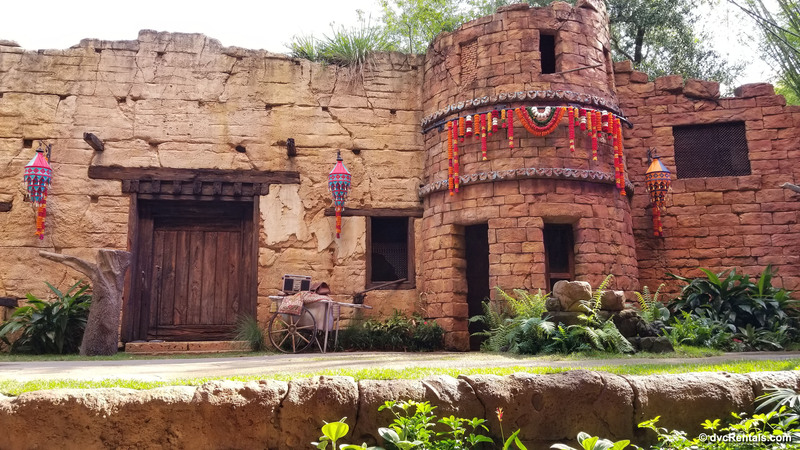 For our show, the Senior Wilderness Explorer was Anika, and what I liked about her performance, is that her information is conveyed through a storytelling approach and it allows guests to hear the details while also continuing to be engaged in her story. A nice way to learn without feeling bombarded with facts. 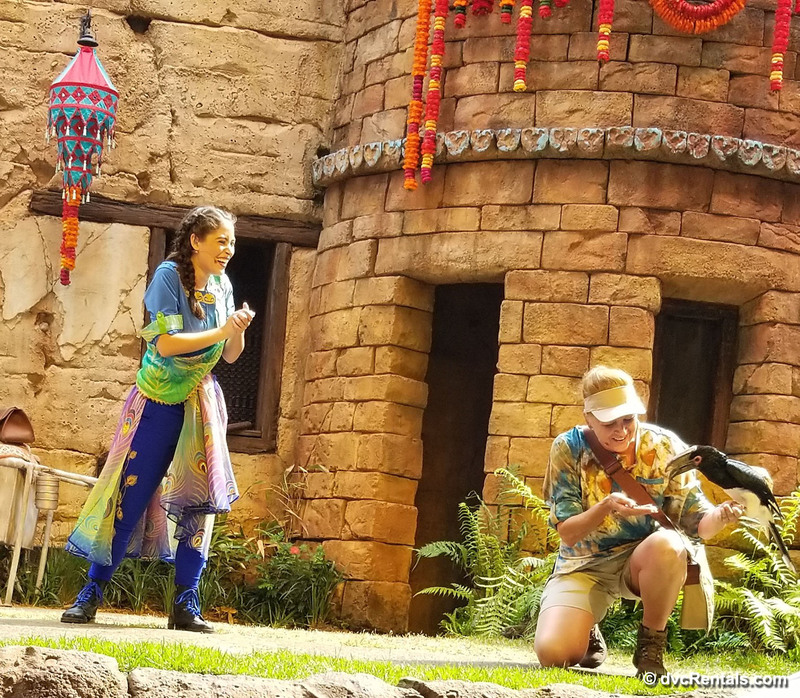 Throughout the performance, Anika interacts with a Disney Cast Member Ornithologist as well as several Disney Cast Member Animal Caretakers who have first-hand experience working with the birds. As audience members, we have the chance to see these gorgeous birds soar through the theatre while learning about their unique attributes, history, and abilities. 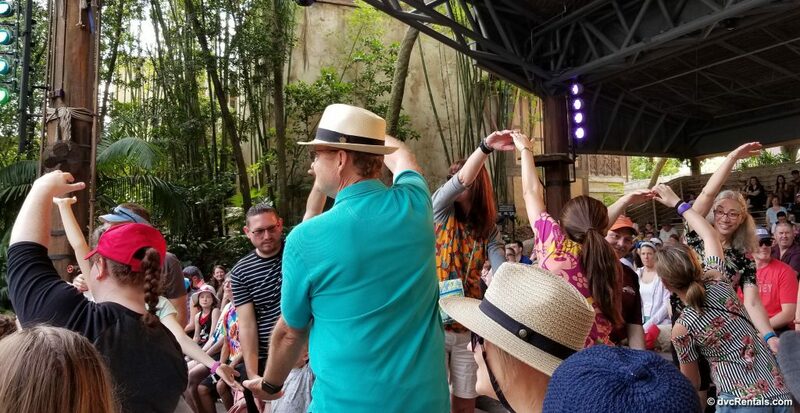 Guests even have the chance to be part of the show! Spoiler alert! 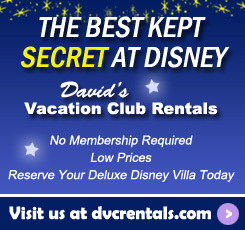 Guests can help create a tunnel for a bird to fly through or be a perch for a bird to hop on! One of the most highly-anticipated elements of the show that I was eager to see is that Russell and Dug from ‘Up’ would also be on stage. 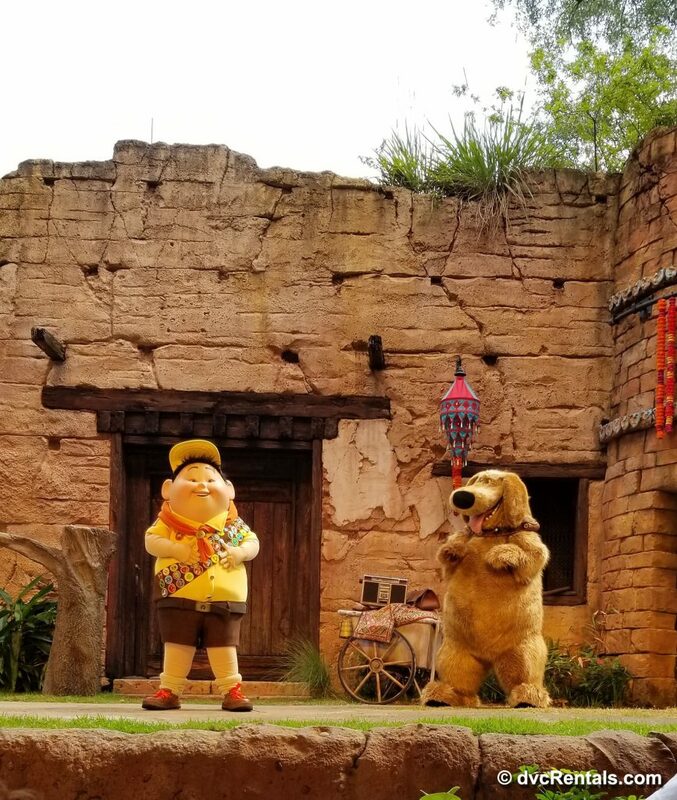 Over the years I’ve enjoyed being a Wilderness Explorer throughout the park and was excited to see how Russell and Dug were going to join the flock. 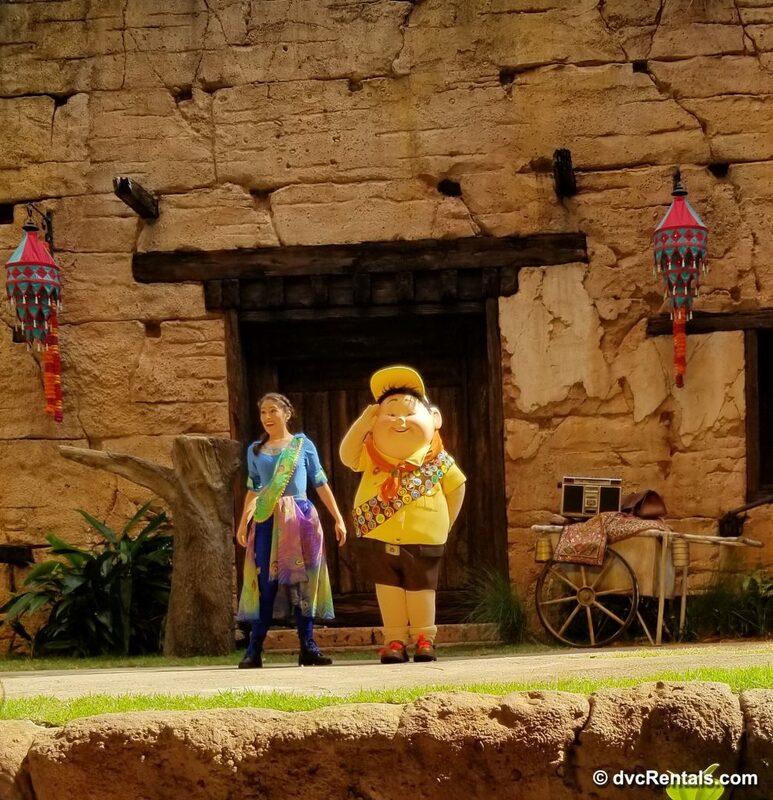 Like Russell, Anika is a Senior Wilderness Explorer, and they have a shared passion for preserving nature and exploring the wilderness. 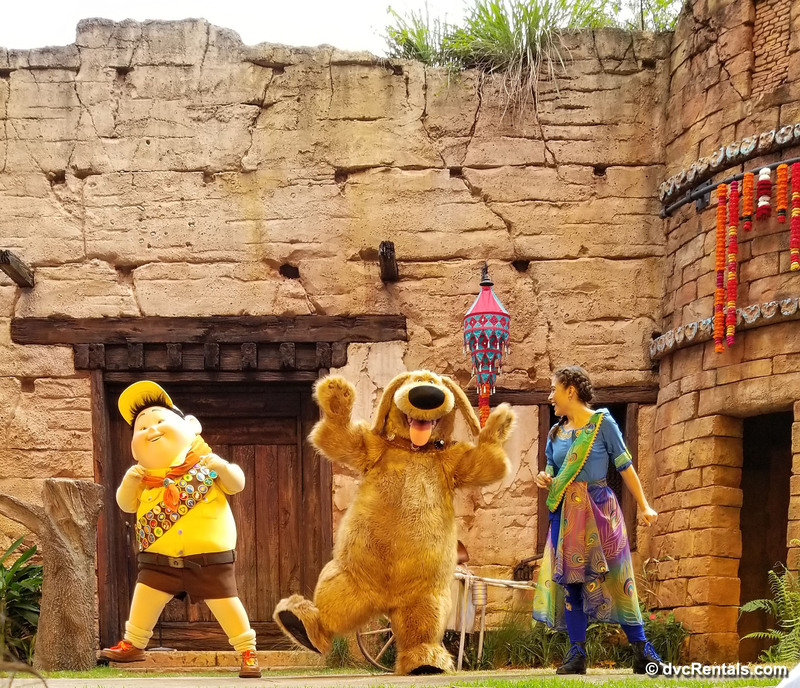 Russell and Dug’s role within the show brings the added Disney touch of whimsy and helps keep the attention of younger audience members. 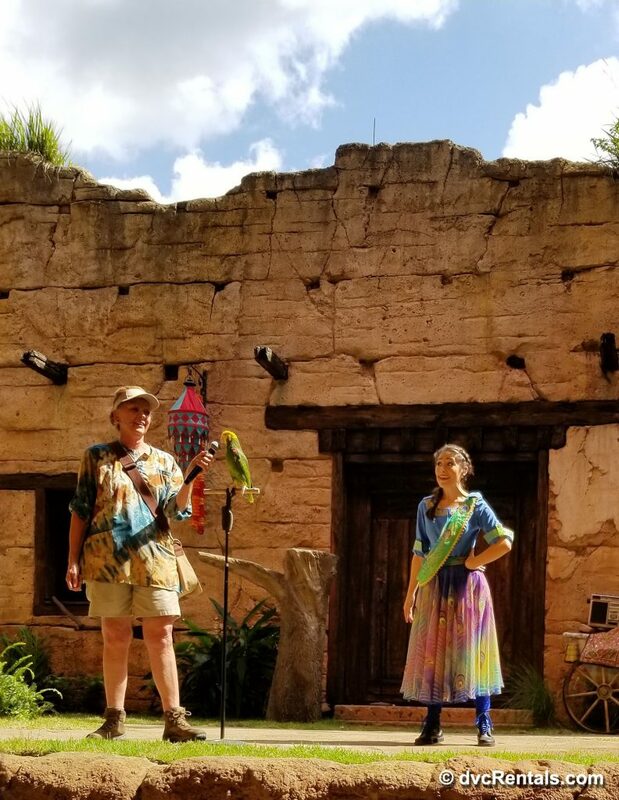 Most of the information I learned throughout the performance was from Anika or the ornithologist, with Russell and Dug offering a bit of comical relief from the wealth of information that is being shared. 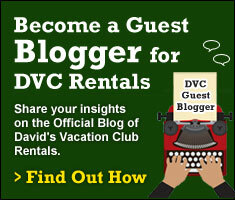 It makes for a nice balance of educational elements and fun. 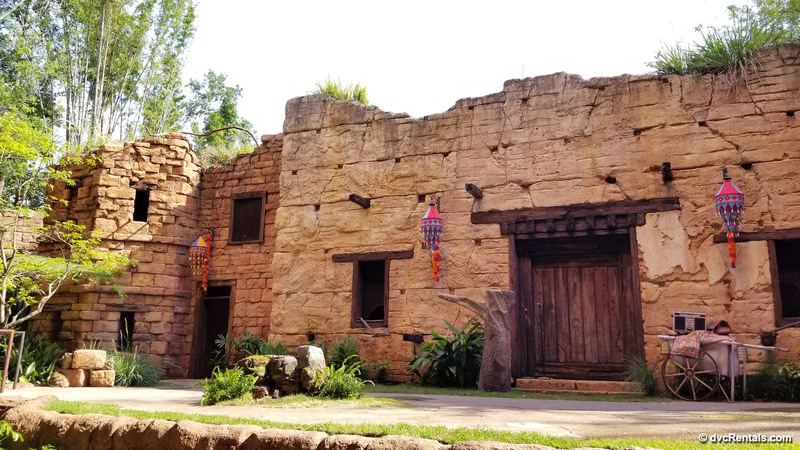 They aim to build connections between the show, the park and the global theme of connecting with nature. 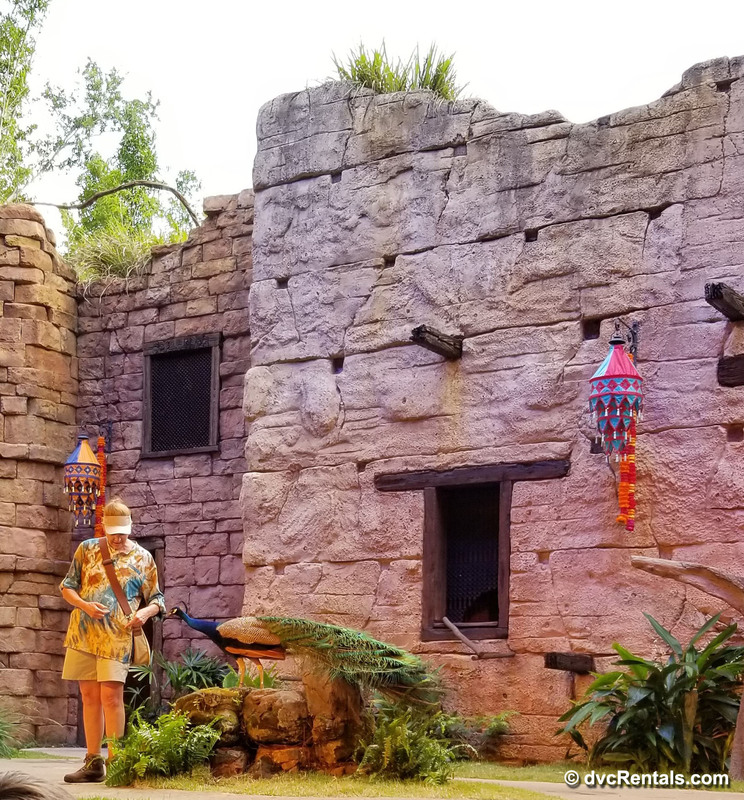 Toucans, macaws, cranes and more can be seen throughout the show! It is impressive to see these birds in such quick succession and provides a chance to really notice the difference amongst each of them when compared to the next. I was also happy to see, that like ‘Flights of Wonder’ the Bald Eagle still makes an appearance. The pure strength and power of this species is always impressive to see.